Teen/Miss Gowns UP FOR AUCTION ON EBAY....$1 with NO RESERVE! -- The Pageant Swap !! 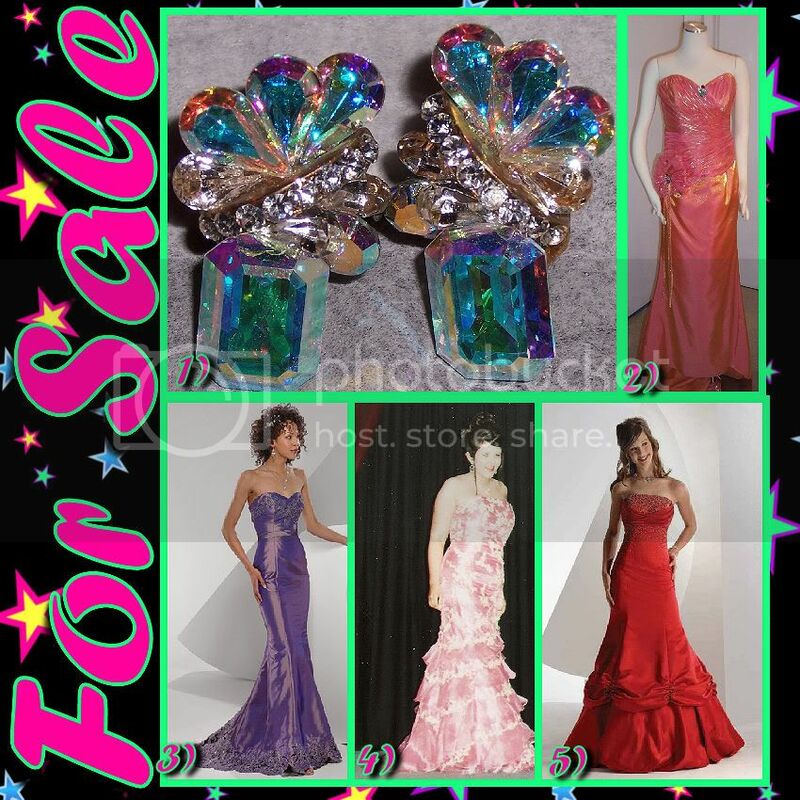 Subject: Teen/Miss Gowns UP FOR AUCTION ON EBAY....$1 with NO RESERVE! 2) Coral >Sunset gown customized with huge rhinestone broaches >and stones. Strapless or rhinestone straps. Sz 12. NOW >on ebay. 99 Cents! No reserve! 3)Flirt by Maggie >Sottero Turquoise Frost(gown shown is purple- the one >I have is turquoise frost) Strapless gown with lace >cutout train. Stunning! Sz 14. NWT�s. NOW on ebay. 99 >Cents! Please e-mail me if more pics >are needed . Get Rid Of Those Unused Pageant >Clothes: And Make Some >Summer Money!